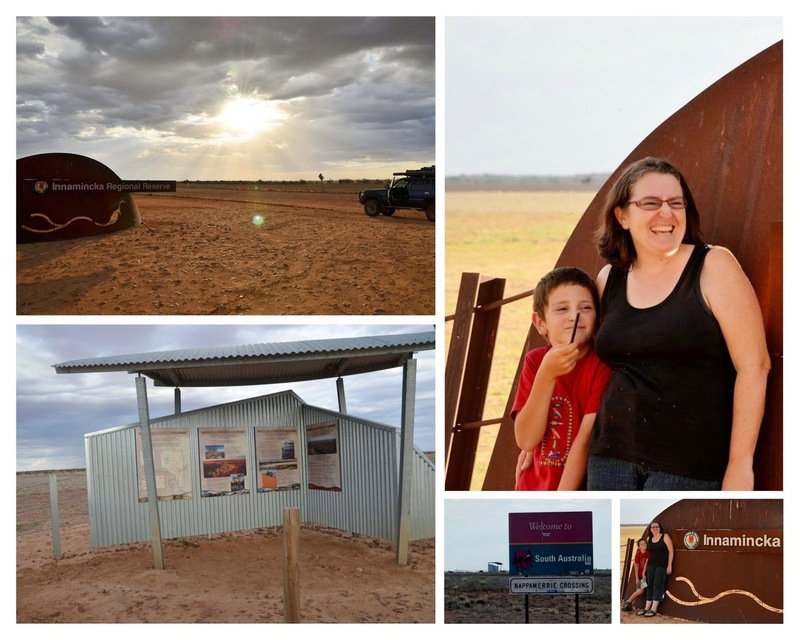 Happy Hamby Campers: We're in Innamincka! At the time of setting off for the Dig Tree, we knew we would be camping for two nights but still hadn't decided on where those nights would be. 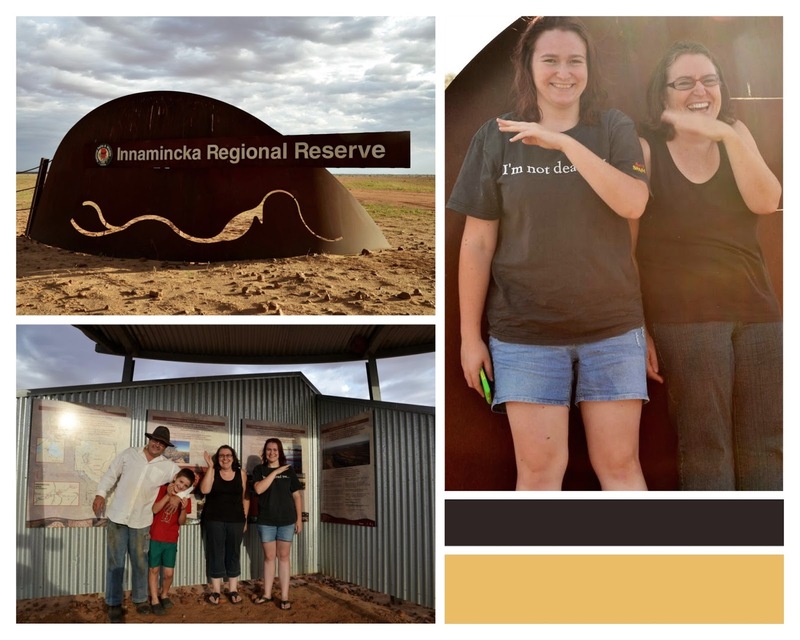 Noccundra was one option but rather than taking that turn-off, we pressed on to Innamincka - because then we could say we'd travelled to four states while away! Innamincka is around 365km west of Thargomindah. By choosing it as our camping spot, we knew we'd be setting up close to dark. Once we achieved the border, we posed quickly for photos and then drove on another 40km to the township.